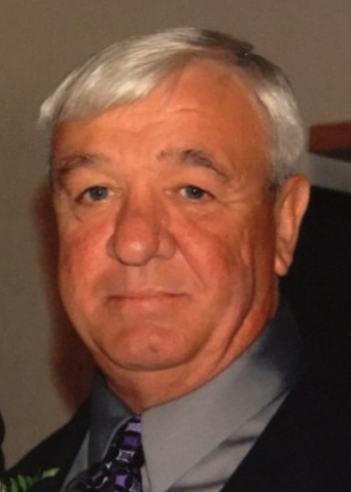 Obituary for Brady L. Skelton | Glunt Funeral Home and Crematory, Inc.
Brady Lewis Skelton, 66, of Edinboro, died Saturday, June 30, 2018 at UPMC Hamot. He was born in Erie on May 10, 1952, the son of Nancy Prock and the late Lewis G. Skelton. Brady was a member of the American Legion in Waterford and the Moose Club in Union City. He loved to hunt, spending time outside with his dog, Storm, and working around the house. He worked at Russell Standard for over 40 years as an equipment operator. He was preceded in death by a brother, Gaylord Skelton. Survivors include three sons, Brady “B.J.” Skelton of Erie, Brad Skelton and his wife, Angela, of North Umberland, PA, and Ryan Skelton and his wife, Christina, of Erie; a daughter, Brandy Skelton; two brothers, Lewis “Buck” Skelton, Jr. and his wife Robin of Edinboro and Emmer “Chief” Skelton and his wife, Janet, of Cambridge Springs; also, five grandchildren, Emma Skelton, Falisha, Sami and Buddy Skelton, and Quinton. Gathering of family and friends will be at the Glunt Funeral Home and Crematory, Inc., 210 Erie Street, Edinboro, on Friday, July 6, 2018 from 2 to 4 p.m. A service will be held there at 4:00 p.m. with Rev. Duane Pinney officiating. Burial of ashes will take place at the convenience of the family in Washington Valley Cemetery. Memorials may be made to the Shriners Hospital for Children, 1645 W. 8th St., Erie, PA 16505 or the Regional Cancer Center, 2500 W. 12th St., Erie, PA 16505. To send condolences please visit www.gluntfuneralhome.com.